PEPSI – Official Beverage of Baseball Nation! Future Telcom – Proud Sponsor of Future Telecom Ballpark! Future Telecom is an industry-leading provider of communications, energy and intelligent transportation infrastructure services. Future Telecom provides the highest quality installation, maintenance and repair services to Texas and surrounding states. 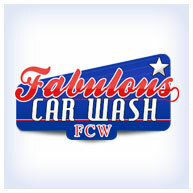 Fabulous Car Wash – Official Car Wash of Triple Creek Academy! Fabulous Car Wash strives to ensure your experience is clean, friendly, effective and professional! 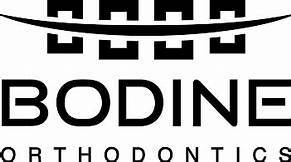 BODINE ORTHODONTICS PROUD SPONSOR OF BASEBALL NATION! A welcoming and thorough Prosper, TX Dentists. We perform routine cleanings as well as take care of any problems you might be facing. Dunning Roofing – Official Roofer of Baseball Nation! Dunning Roofing and Restoration has a team of storm restoration experts that will help you through the entire process. From full Roofing, Siding, Windows, Garage Doors, Painting and more. We deliver superior quality on the smallest jobs to the biggest. Our team of storm restoration experts have over a decade of experience in restoration. Give us a call for a free consultation! 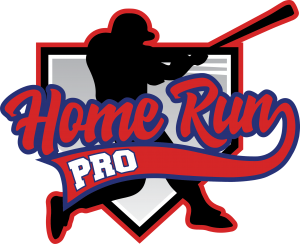 The goal of Home Run Pro is to help players, both baseball and softball, build and learn the correct mechanics to be a successful hitter! http://Utproducts.com | A sports and activities poster company dedicated to capturing and preserving memories through poster, banners, and awards. 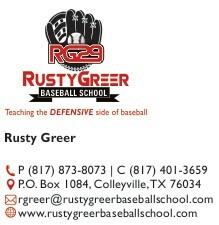 Rusty Greer Baseball School is dedicated to teaching the DEFENSIVE side of the baseball by instilling rock solid defensive fundamentals. Our objective is to offer hi-level instruction through small-group, position-specific instructional sessions partnered with dedicated skill and drill nights. All sessions are led by former Major Leaguer Texas Ranger’s Hall of Fame Member Rusty Greer, so when you enroll, expect an all-out effort to help improve your defensive game. Deciding on who will be your family dentist can be a challenge and we understand how difficult this very important decision can be. 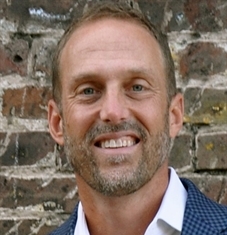 At Glow Dental & Implant Center we take your oral hygiene and well-being very seriously, and we treat each of our patients as if they were our own family members. We guarantee you will receive a truly honest recommendation that takes your overall health and well-being into consideration. Your teeth in your mouth, after all, are connected to the rest of your body. 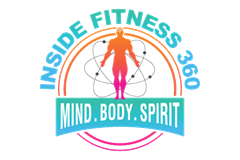 At INSIDE FITNESS, we believe that INTERNAL WELLNESS is of paramount importance and that it is the driving force behind the quality of our external lives. Having a HEALTHY EMOTIONAL BALANCE is reflected by an external life that is well balanced which often yields LOVE, JOY, PEACE and a HEALTHY SELF IMAGE.